Keukenhof tickets and parking can be purchased in advance in order to save time in line. Dinner reservations should also be made in advance for Hippie Fish Restaurant at Zandvoort Beach. The gardens at Keukenhof are only open from late March through the middle of May each year. The dates vary by year, so make sure you check the website for details. Also, the flowers change throughout the open season; it's best to check on the details before visiting. Finally, it can still be quite chilly during the spring months at the beach, so make sure you layer up. Keukenhof flower gardens is least crowded during the early morning and late evening hours. Plan to get there at opening time for this mini-adventure. Keukenhof Gardens is only open from late March through mid-May each year. 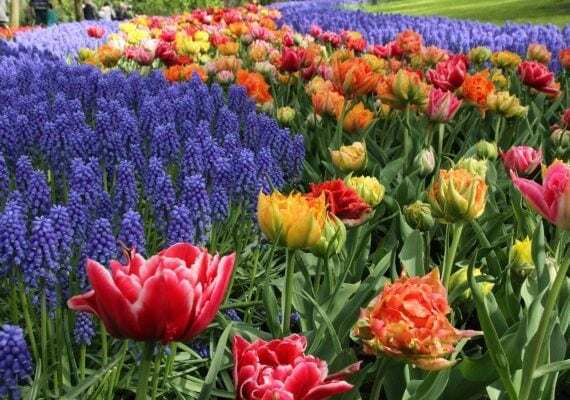 Purchase tickets online in advance for Keukenhof Gardens discounts. Nothing beats a visit to the gorgeous tulip fields of Holland in the spring. This itinerary begins at Keukenhof Gardens, arguably the most famous gardens in the world. 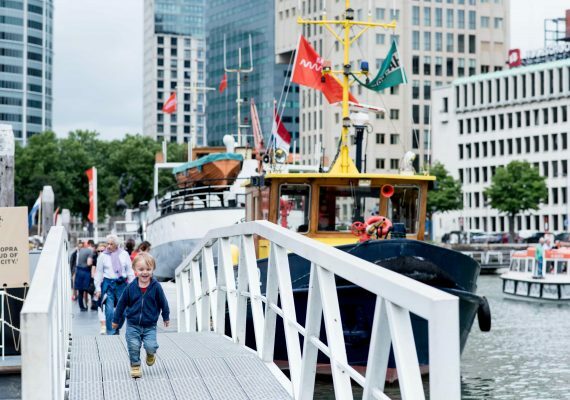 It is also a fantastic day trip from Amsterdam, when visiting the Netherlands with kids. Each year from late March through mid-May, the Keukenhof Gardens open to the public. Miles of trails lead through the sea of gardens and the beauty is indescribable. In addition to the colorful flowers, the children will also love the fantastic playground and petting zoo located at Keukenhof. After a busy morning in the gardens, enjoy a nice spring afternoon relaxing at Zandvoort Beach. This beautiful beach on the North Sea is picturesque and a wonderful place for the children to play along the surf. The sand is white and soft, and the shoreline is wide. Finish off the day with a fantastic meal at Hippie Fish Restaurant. Located on Zandvoort Beach, it is the perfect way to end the day with food and a sunset. Keukenhof Gardens is world-renowned for its beautiful spring flowers. Open only approximately eight weeks each year, millions of people visit the gardens to get a glimpse of Dutch blooms at their finest. Each year, a different theme is chosen and the gardens are designed with the theme in mind. Originally part of the Keukenhof Castle gardens, the beautifully designed layout is easily accessible for those with strollers and small children. Enjoy exploring the miles of trails through indoor and outdoor gardens. The flowers at Keukenhof are truly magnificent. Our kids were mesmerized by all of the flowers and water features. The gardens also feature a fantastic children's area with a playground and petting zoo. There are several cafés and shops also available. Finally, make sure to climb to the top of the windmill in the gardens and get a view of the surrounding fields. DIRECTIONS Personal transportation will be needed to get to Keukenhof Gardens. 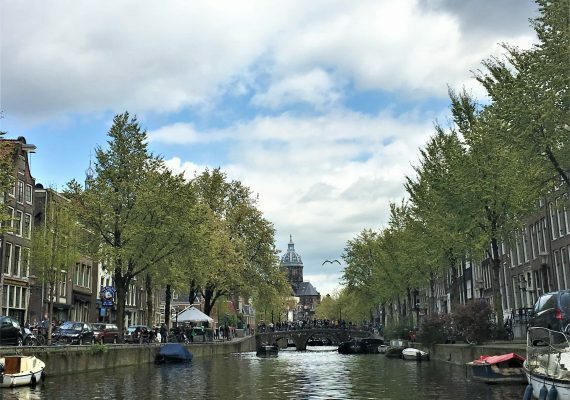 There are tour companies that offer transportation from Amsterdam. If you have a car, there is parking for a fee outside both the front and back entrance. TIP The gardens are extensive, so lots of walking is involved. The pace can be as leisurely as you like and much of the park is stroller accessible. There are open water features, so be careful with wandering children. There are also multiple food options available for purchase in the park or bringing a picnic lunch is allowed. Zandvoort Beach, also known as Amsterdam Beach, is the closest beach to Amsterdam. It is popular with locals and tourists alike. The beautiful white sand beach is wide and scenic. The North Sea water is cold, but on a sunny day, an afternoon at this beach is perfect. In the spring, during Keukenhof season, the beach is not very crowded. DIRECTIONS The drive to Zandvoort Beach from Keukenhof Gardens is approximately 25 minutes. Alternatively, there is also a train station in Zandvoort. This station offers connecting transportation to Amsterdam and other surrounding cities. TIP Parking is available along the beach road. We had no trouble finding a spot in the afternoon in late April, but it might fill up quickly during the summer months. Hippie Fish is a beautiful, modern restaurant located directly on the beach in Zandvoort. The décor is simple and elegant, and the food was delicious. We also enjoyed a beautiful sunset over the North Sea from the window at our table. It was a lovely setting. DIRECTIONS Hippie Fish Restaurant is located directly on the beach in Zandvoort. TIP The restaurant recommends reservations, but we were able to walk-in early on a Friday evening in April. It is not particularly kid-friendly, but our children were pleased with their dinner.